Palestinian groups and solidarity networks across the world are campaigning for the UN to cancel its contracts with G4S, the private security company that helps Israel run prisons at which Palestinian political prisoners are held without trial and subjected to torture. In October alone, Israel arrested over 1,000 Palestinians as a means to repress Palestinian popular resistance. Many of these people will be held in Israeli prisons that G4S is helping to run. By contracting G4S to provide security services worth than $22m each year, the UN turning a blind eye to the role that G4S plays in Israel’s oppression of Palestinians. Palestinian organisations including Addameer, the Palestinian Human Rights Organizations Council, the BDS National Committee, along with more than 200 groups from across the world recently wrote to the UN saying that its relationship with G4S was out of step with the UN’s stated policies and principles. So far, no response has been received to that letter. Not it’s time to turn up the pressure on the UN. November 29 is the UN-declared International Day of Solidarity with the Palestinian People. 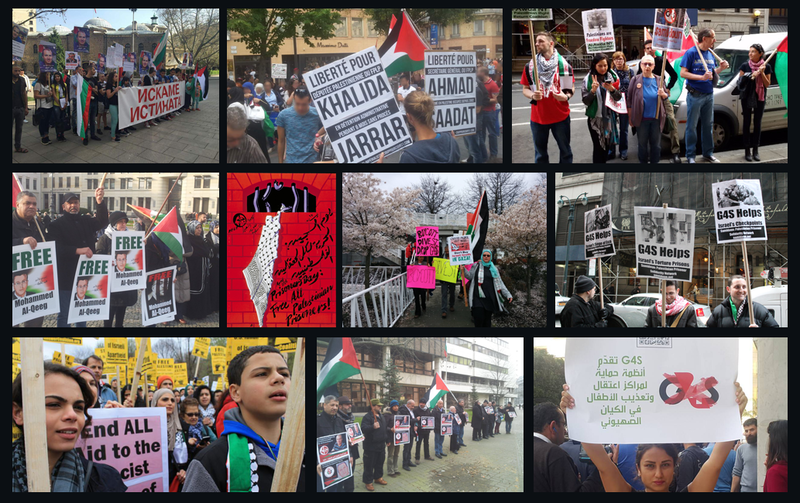 On that day and the few days on either side, groups in Jordan, New York and across Europe are mobilising to hold actions at UN offices to show the UN that there is growing opposition to its relationship with G4S. There will also be online and social media actions to get involved with. 1) Hold a creative protest action or letter hand in at a UN office near you. Many capital cities also have smaller offices for the UNHCR, the UN body that has the largest number of contracts with G4S. Actions are already planned in Brussels, Rome, Dublin, London, Amman, New York City, and beyond Nov 23-30. – Encourage your members and supporters to take a simple online action when it is posted here around Nov. 27. – Join the Facebook event page and share posts as they come through with your followers. – Tweet and use other social media to create buzz around the events – example tweets and memes will follow shortly.